GOMA, Democratic Republic of Congo — Ugandan President Yoweri Museveni, who serves as chairman of the International Conference on the Great Lakes Region, might have prided himself on brokering a truce between heads of state in Africa’s Great Lakes region. But it seems the move may have in fact helped the rebels gather steam since mid-August. While “the respite has allowed the return of a few refugees and displaced persons both for the second farming season and the new school year opening,” as a local official in Nyamilima noted, activists from local and international human rights groups, eyewitnesses in areas where the rebels operate, and Congolese officials have reported reinforcements in men, weapons, and new communication and transportation equipment flowing from Rwanda to the M23. The M23 rebels’ future seems to be sealed given the international consensus that top leaders of the movement should be prosecuted for human rights violations they’re responsible for. 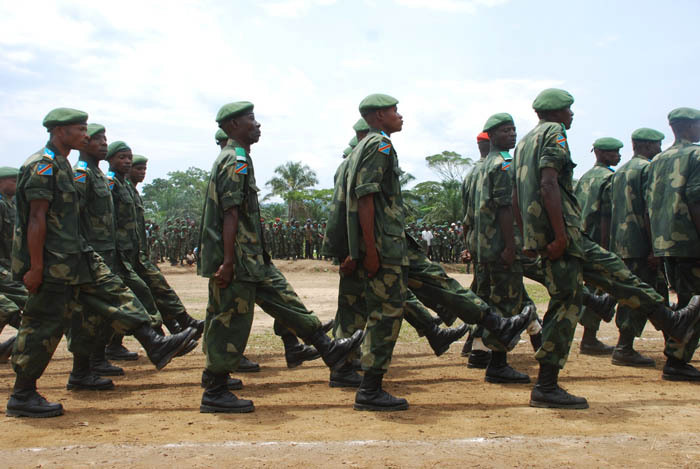 The Kampala summits, though viewed as biased by many Congolese, nevertheless produced a consensus about an African neutral force mandated to eradicate the M23 and other negative forces. Participants to the high-level summit on the eastern Congo crisis on the sidelines of the U.N. General Assembly in New York late last week condemned the M23 rebellion and asked that any external support to it be halted. American diplomat Johnnie Carson reinforced that message this week when he called for the Rwandan government to "at a very minimum, … denounce the activities of the M23." Under such pressure, the M23 seems to have chosen a strategy to force talks with the Congolese government: In the last several days they have shattered the Museveni-brokered truce, taking over towns of Kisharu, Kiseguru, Katwiguru, Kinyandonyi, and Nyamilima. The border town of Ishasha, north of Ruthsuru, just fell under their control late yesterday. According to the movement’s press release, the rebels say they have been compelled to take over those areas to free the people from armed groups’ abuses. “We won't spare the means to pursue our mission of freeing the people from the armed groups' burden,” the press release reads. “It’s like robbing Peter to pay Paul—an armed group claiming to come and save us from the hands of another,” Kakule Jackson, a resident of Nyamilima, told Enough over the phone. “I’m fleeing to Uganda—my wife and kids with utensils on their heads, bags on their backs—because I’m sure things are going to be even worse with the M23 controlling Nyamilama town,” he said. Although the rebels’ press release says that people have returned home, local officials report masses of people crossing into Uganda fleeing the M23’s advance. Prior to the M23’s advance, control of these towns had been shared between a faction of the FDLR and Mayi-Mayi Sheatani (Swahili for “Satan”). Both groups took control of the areas after the FARDC moved out of the area in late July and have since then fought with each other over tax collection. Prior to the M23 takeover, the two groups fought a fierce battle in Kisharu market last Sunday, September 30, which resulted in the death of eight civilians, who either died in crossfire or were accused by the warring factions of being collaborators and then gunned down. Eyewitnesses, including civil society activists and survivors, said however that the M23 advance met almost no resistance, with the FDLR/SOKI and Mai-Mai Shetani giving up their positions. The same sources report indications that Mayi-Mayi Shetani is colluding with the M23 rebels “for staggering amounts of money.” In fact, Mayi-Mayi Shetani leader Muhima Musubao admitted to local radio reporters that part of his forces has defected to join the M23. “There is no doubt for Nyamilima people that these groups have been the M23’s long arm over areas they officially don’t control. Otherwise, what magic wand enabled the Mayi-Mayi Shetani to collude with the M23 right after the M23’s arrival?” Musemana Gafishi, an administration officer from Katwiguru told Enough. With the M23’s advance on Ishasha, the second largest border town between Congo and Uganda in Rutshuru territory, the rebels have increased their tax base and also staked out a militarily strategic position, as it broadens entry points for alleged Ugandan support. The M23 has also threatened to take over the city Goma as a response to the Congolese government’s failure to curb targeted murders that have plunged the city’s population into fear and mourning for the past two weeks. If that threat materializes, combined with their control of the Kiwanja-Ishasha axis, it will significantly increase the rebels’ leverage to push the Congolese government into negotiations it has so far rejected.